The library is rather dark and they do not allow flash. There was also glare from the spotlights they used. 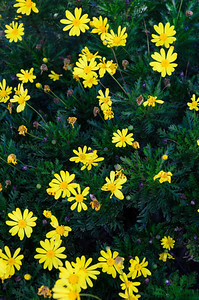 Including space limitations it was a challenge getting good shots. I apologize ahead of time for the glare and limited ability to frame some of the shots. With all my excuses out of the way, these are a few of the better ones. 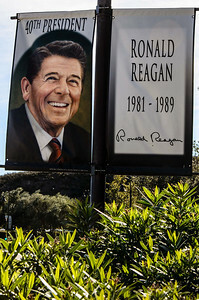 Mr Reagan greets you as you park. 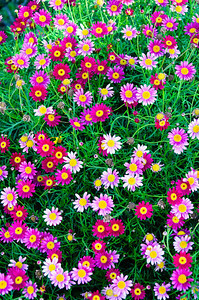 There was a most beautiful and colorful flower garden prior to entering the Library. 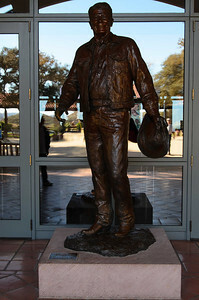 Beautiful bronze statue as you enter the building. Apologies for all the glare and reflection. 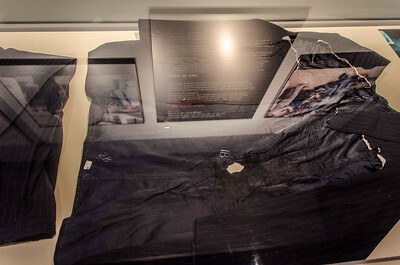 This is the suit (folded pants on the left) Mr Regan wore when shot by John Hinckley. The jacket is laying open at 90 degrees to the right. The president was extremely upset in the hospital when they cut his "brand new $1,000 suit" off of him. It was the first time he had ever worn the suit. 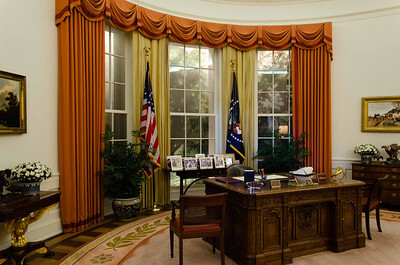 The Oval Office. 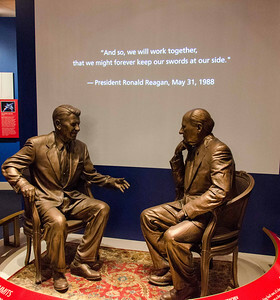 This desk is a replica of the one Mr Reagan used and many presidents before and since him have used. 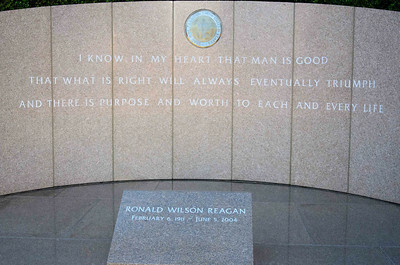 The original is still in use at the White House. If you look closely at the bottom of the desk you will see a line parallel to and a few inches above the ground. 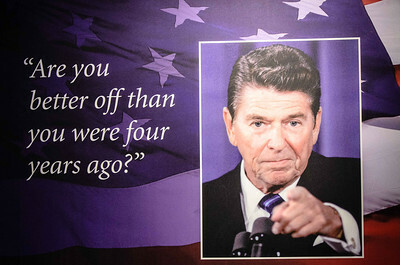 That is where they increased the highth of the desk to accommodate Mr Reagan's size. 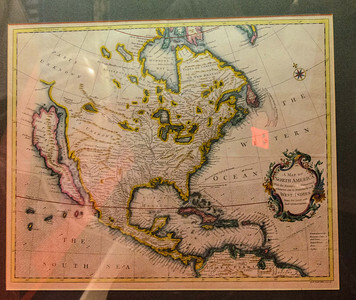 Margaret Thatcher gave this map to Mr Reagan as a gift. It is quite old and was drawn when California was believed to be an island. I almost got it to fit! 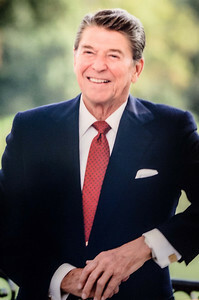 The Air Force 1 used many times by Mr Reagan. 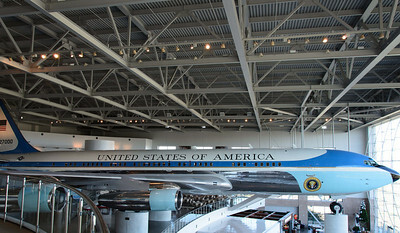 This was also the only plane to take off as Air Force 1 and change tail numbers (to tail number 27000) in mid flight before landing. 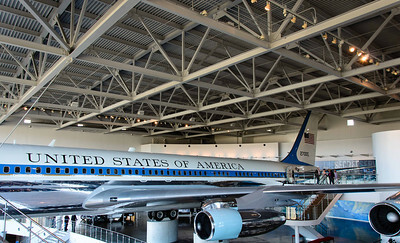 It is the plane that carried Richard Nixon home to California the day he resigned the presidency. 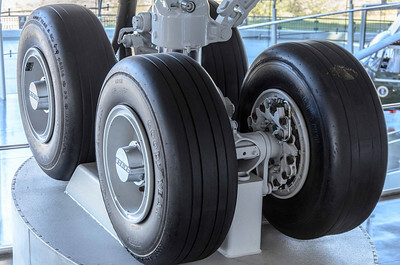 His resignation took effect at noon, three hours into his cross country flight. 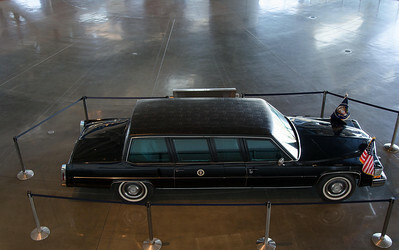 One of Mr Reagan's limos. These were customized for him with taller roofs. 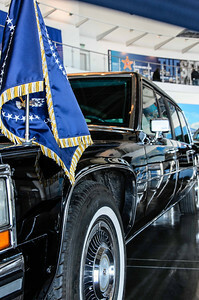 The limo is shinier, closer up. 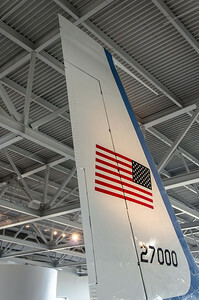 Tail rotor of Marine 1. 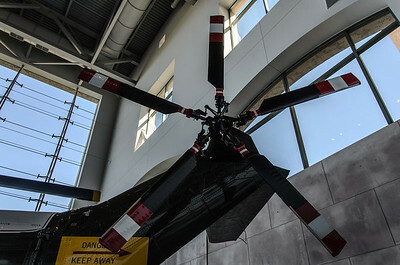 This chopper was not the one Mr Reagan used as his is apparently still in service. 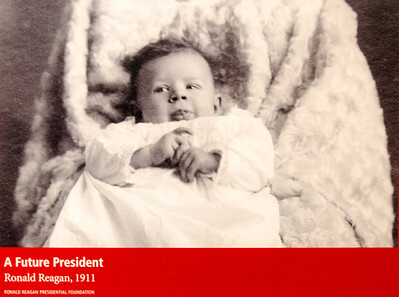 This one was used by Lyndon Johnson. 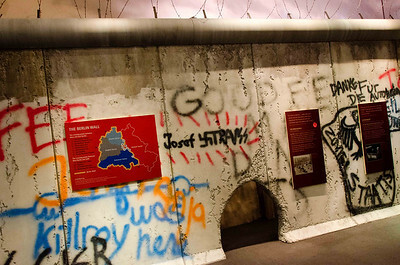 This is a simulation of the Berlin wall. 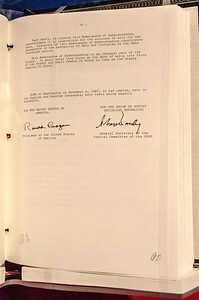 This is the actual (not a copy) original INF treaty signed by both Reagan and Gorbachev. 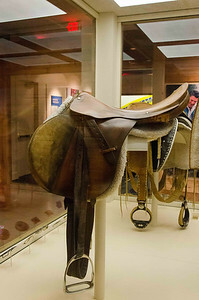 This was Mr Reagan's riding saddle for many years including during the presidency. 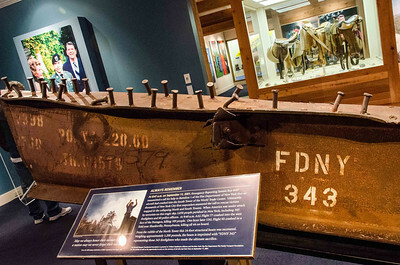 It was kept and used at the ranch in Santa Barbara. 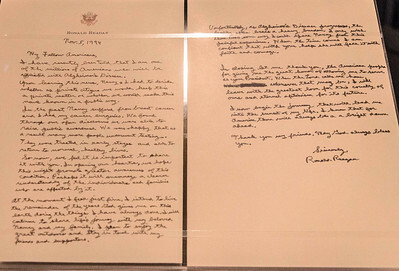 The very sad letter Mr Reagan wrote and then released to the public announcing the acknowledgement of his Alzheimer's disease. 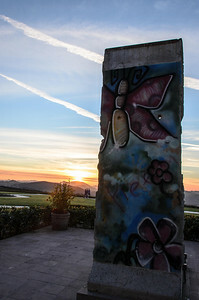 A real piece of the Berlin Wall contrasted with the beauty of a free world as represented by the golden sunset. 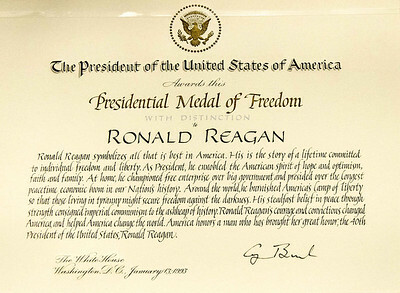 Thank you for your service to our country, Ronald Wilson Reagan. 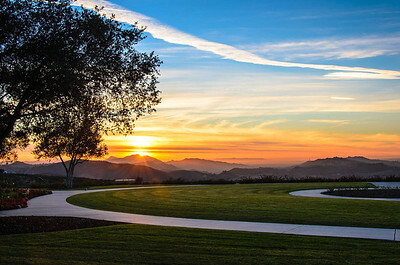 This beautiful view is mere steps away from where Mr Reagan is interred. 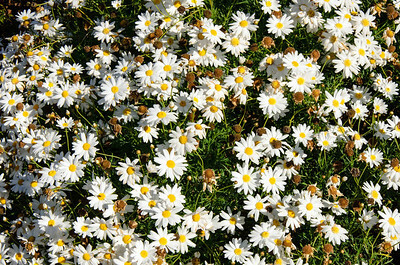 The grass and walkway are replicas of the south lawn of the White House.